Electronics Computer - Industries - ZT | Zippertubing Co. In this century, and in those to come, electronics and computers are becoming more involved in everyday life. Electronics are utilized in more ways and more applications, as we become more dependent on technology. Along with the proliferation of computers and electronics comes complexity and the need for specialized materials. The Zippertubing® Company caters to all industries, especially those in need of cable management, EMI shielding, and thermal management. A prevalent issue in the electronics & computer industry is a need for EMI shielding and cable management. As a requirement for passing radiation emission testing, companies must provide the appropriate materials and protection in order to bring their product to market. These tests evaluate how much radiated energy the products give off and ensure it is below a specified level. In the US, the FCC (Federal Communications Commission) sets these requirements for commercial devices. In Europe and other places around the world, a CE marking is often obtained by passing certain electronics tests. Additionally, cables and wiring are ubiquitous when dealing with electronics and computers. Not only is it important to keep these wires organized, but it can be extremely important to shield the wires and keep them protected. Bundling and protecting cables can also serve more than an essential or practical purpose. It can also provide a cosmetic improvement to a device or system. Having cables or wires routed, bundled, and protected has a major appearance advantage that customers will notice and appreciate. Here are just some of the products we have related to the Electronics & Computer industry! In lieu of the heavy-duty industrial use of wire and cable bundling, protection, and EMI shielding, electronics are becoming smaller and more condensed in many cases. This necessitates smaller, lighter, and more flexible materials to fit these continuing changes. 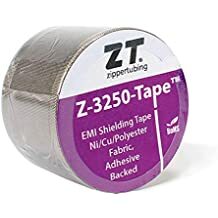 The Zippertubing® Company carries a wide selection of raw materials to fit your custom needs, from industrial cable management/bundling, EMI shielding, thermal protection, and heat resistance to small electronic repairs. Don’t want to disconnect an installed component due to a cracked or chafed wire? Try our wrap-around heat-shrink products, we’ve got you covered. No matter your use or custom needs, we’ve got a solution to fit your problem. Along with bundling and protecting cables, our products and solutions can serve more than a practical purpose. They can also provide a cosmetic improvement to a device or system, including multiple color options. Having cables or wires routed, bundled, and protected provides a major advantage for an appearance that customers will notice and appreciate. Why use Zippertubing's Cable Management products in the Electronics Industry? 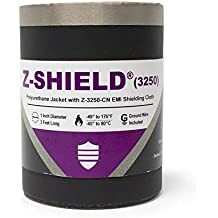 Additional shielding for ribbon cables in rack-mounted computers and power supplies. Isolated shield pouch for circuit board assembly. Clear protective label covers for cabling or wire harnesses. Custom length cable protective wraps that are ready to install. EMI shields with drain wire extensions and connection hardware. Cable bundling for server rooms or data center equipment racks. Fiber optic and network cable routing and installation sleeves. Cable bundling and EMI shields for clean rooms and controlled areas with contamination requirements.